When you’re bogged down by work, rushing from one task to another, and dying to fill your rumbling tummy, nothing makes the situation worse than seeing snaking long queues out of every eatery. You could order your food to be delivered and make life a lot easier, but do it often, and you start to feel the pinch from delivery fees. 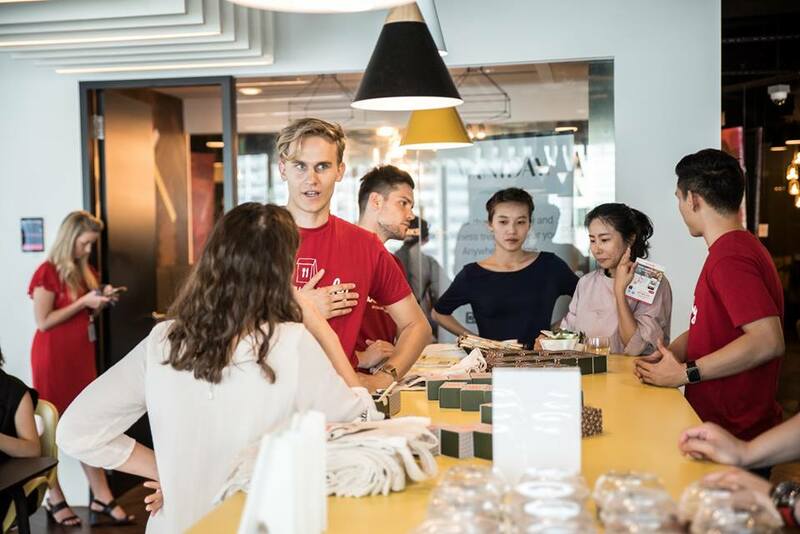 Having spent a few years working in Singapore’s CBD, Randy Chai is familiar with the horrifying lunch crowds, turning lunchtime from joy into frustration. “I’m always puzzled by why there isn’t a quicker way to have lunch while not having to battle with the lunch crowd, nor [having] to pay a premium on top of it,” he says. 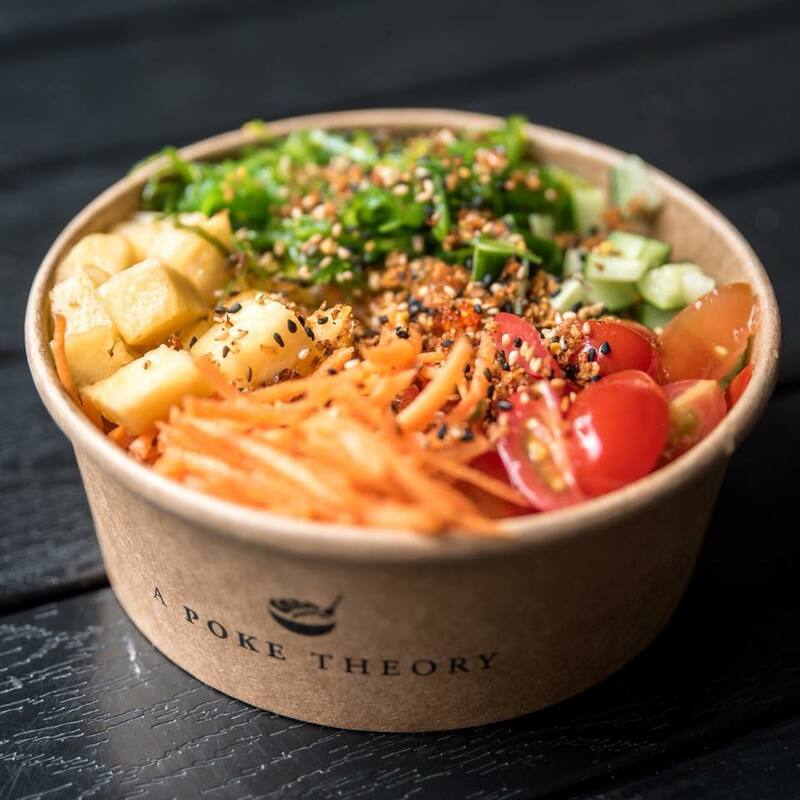 This dilemma pushed Randy and his business partner, Matas Linauskas, to develop their own approach to lunchtime: a fixed-price meal subscription service. 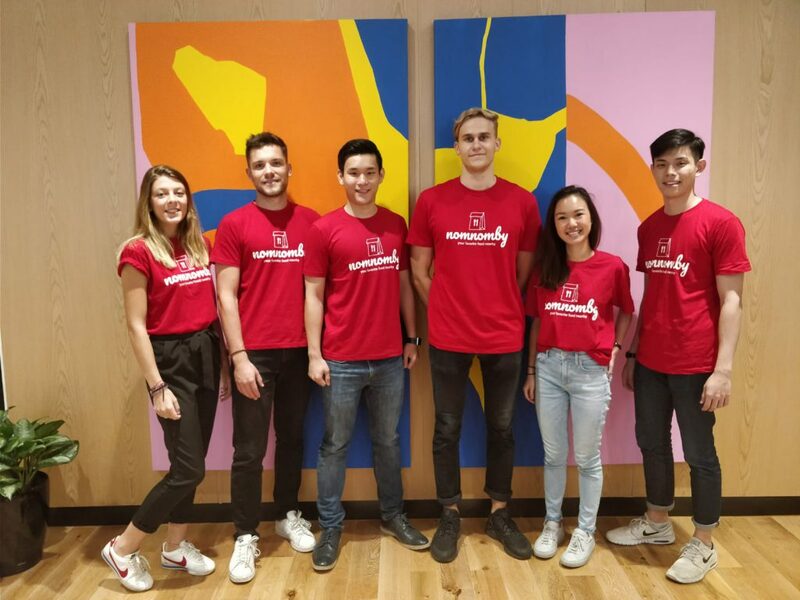 Together, they launched nomnomby on 1 January 2018. Spend No More Than $8.99 Every. Single. Meal. 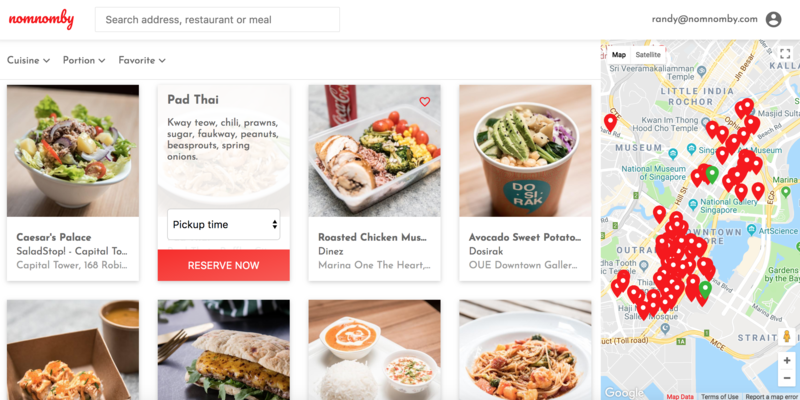 With so many firms providing food and dining solutions like Foodpanda, Deliveroo and HonestBee, it’s easy to get confused. That’s why Matas emphasises theirs is not a delivery service. 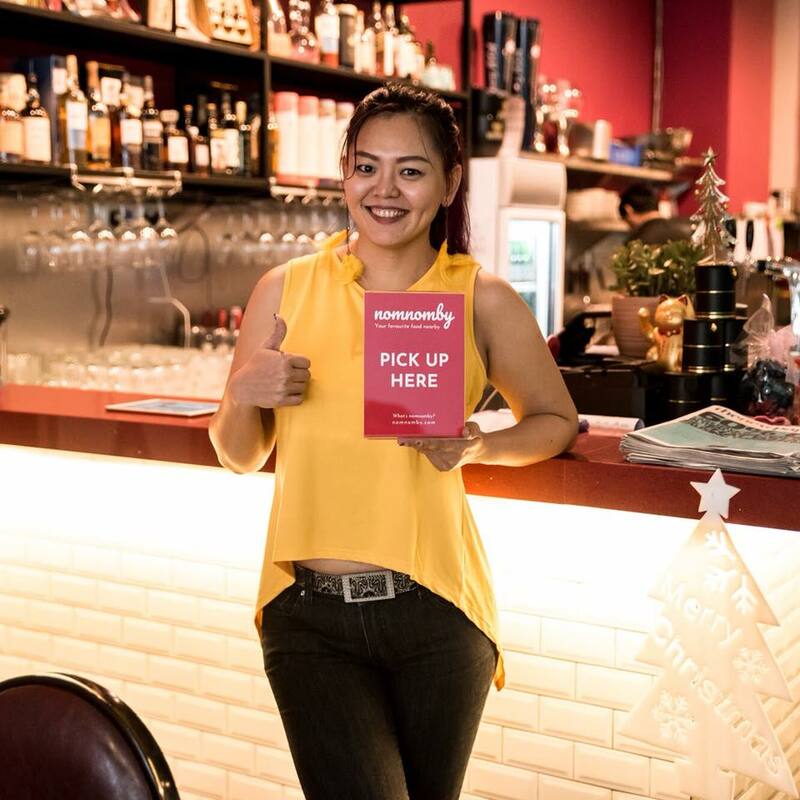 nomnomby offers a selection of restaurants near to its customers, with each restaurant providing just one chosen dish a day. Users place their orders by 9.30am, and at lunch time, the food is ready for customers to pop in and pick it up without any waiting. Catered to working individuals, the service is only available on weekdays, and users can choose a subscription of 6, 12 or 20 meals for one month. They only operate during lunch now, but hope to open up a dinner subscription soon too. “On average you would pay more than 50% less with us [than with food delivery apps] because of the delivery fees, peak hour service fees and premiums that delivery platforms usually charge,” Matas adds. They believe what they offer will benefit people who are busy, yet also want to spend less on their meals. Another group of customers they say will benefit from nomnomby’s services is the health conscious. 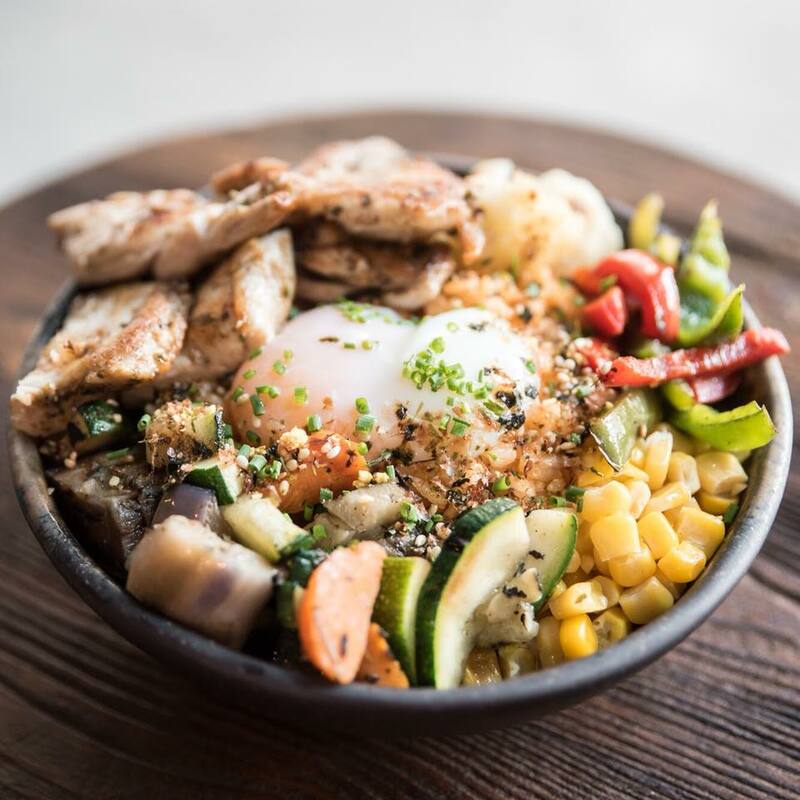 “Since the conception of our business, the top 10 most ordered dishes are all healthy dishes,” he says. Matas also shares that promoting healthy eating was the main reason he ventured into this business. For me personally, I always wanted to move into the F&B industry to help people eat healthier. “nomnomby’s model seemed ideal for me to pursue this [because it] allows us to use the platform to suggest healthier options,” he says. 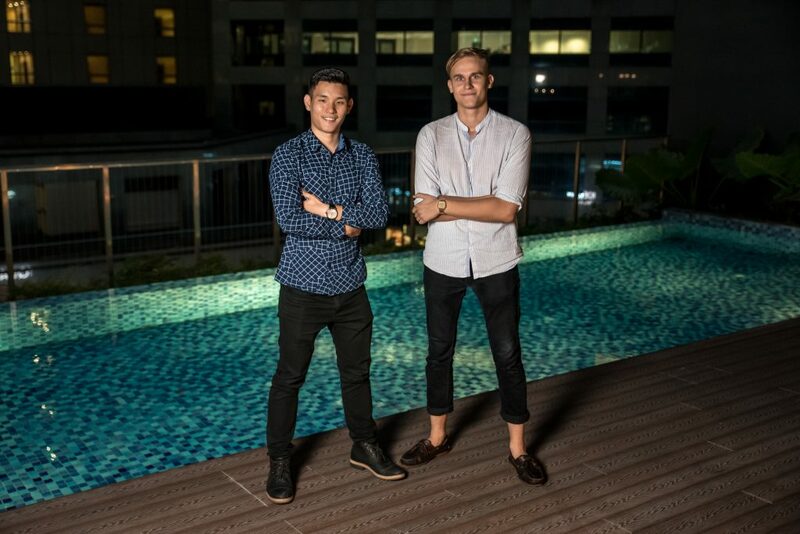 Co-founders Randy, 27, and Matas, 24, are not new to the startup life. Randy has previously been the Head of Growth for fitness booking service, GuavaPass, while Matas was Managing Director for online real estate marketplace, Lamudi. The entrepreneurs met when they both had a stint at the one-stop beauty platform, Vaniday. At the time, Randy handled operations, and Matas headed marketing analytics and sales for the company. “What made us want to collaborate was the fact that our skill sets were very complimentary,” Matas said. He explained that the two had specific roles in nomnomby; Randy’s experience as Head of Growth at GuavaPass helped him bring in customers, while Matas’ expertise in sales helped seal deals with restaurants. They both put in all their savings to support nomnomby for the first few months until they received pre-seed funding from a business angel. While they couldn’t disclose the amount of their pre-seed round, they shared that they’re in the process of completing a $800,000 seed round this year. “Besides washing dishes to earn some money during my university days, I personally had no experience in the F&B industry,” says Matas. It’s important to note, though, that neither did I have any experience when going into the beauty or real estate industries. Matas says when it came to overcoming this challenge, there was no magic solution to it other than getting down to work. I would simply call or walk-in into restaurants, first asking for their feedback on the model, then from it drafting a pitch and using it to persuade them to join our platform. 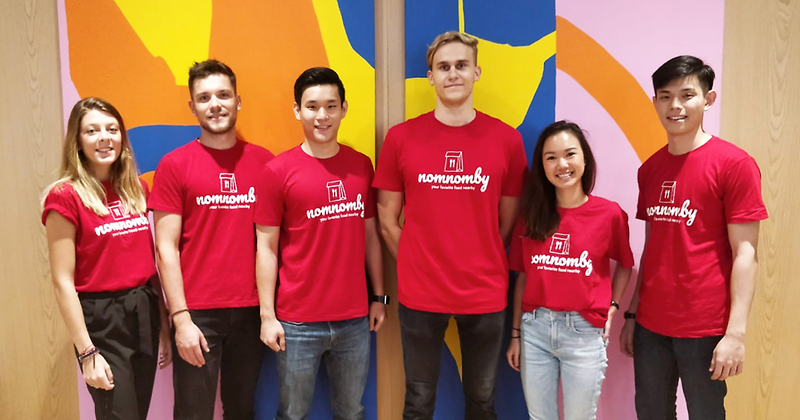 Even though nomnomby’s fixed price per meal is lower than some of the restaurants’ own prices, he says they were convinced to work together because it helps them cut down labour costs. “They receive all of the orders at 9.30am and all of them are for the same dish, which makes kitchen’s work much more efficient [as they can] prepare in bulk,” he says. When they had found the first 25 partners, Randy stepped in to gather nomnomby’s first customers, most of whom were his own friends. They then carried on reaching out to people around the CBD area by passing out flyers on the streets. Randy and Matas had made a firm decision when building up nomnomby’s platform. While the idea of commitment and repeat payments scares some customers away from subscription services, Randy and Matas have a few reasons to back up their decision. Firstly, they say it will help customers develop a regular habit, which will turn into consistent savings for their time and money spent on food. “To add to that, if you want to eat healthy on a more daily basis, a subscription is great way to do it, since you now you have a financial stake in following through,” Matas says. 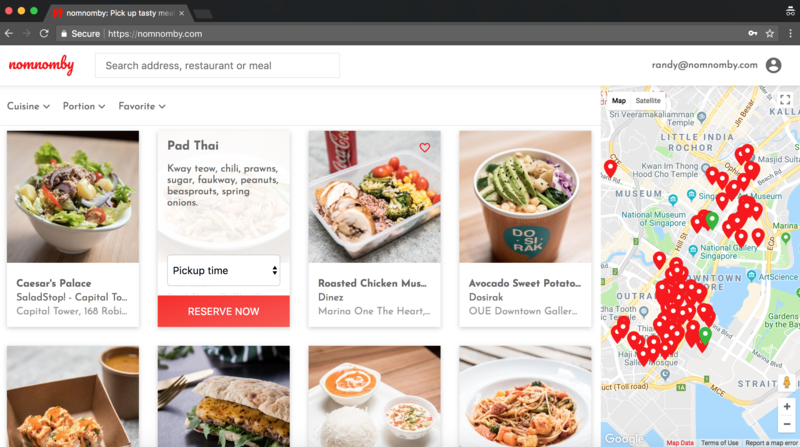 Their business model is fairly simple: users pay a fixed price per meal, and they pay a lower fixed price to their restaurant partners, making a margin in between. Since starting business in January, nomnomby says it has been seeing 50% growth in revenue every month till now. Matas shares that they receive 170 orders a day, adding up to around 800 orders in a week. “Our weekly figure is increasing by around 50-60 orders and this pace is also growing as we gain more traction,” he says. 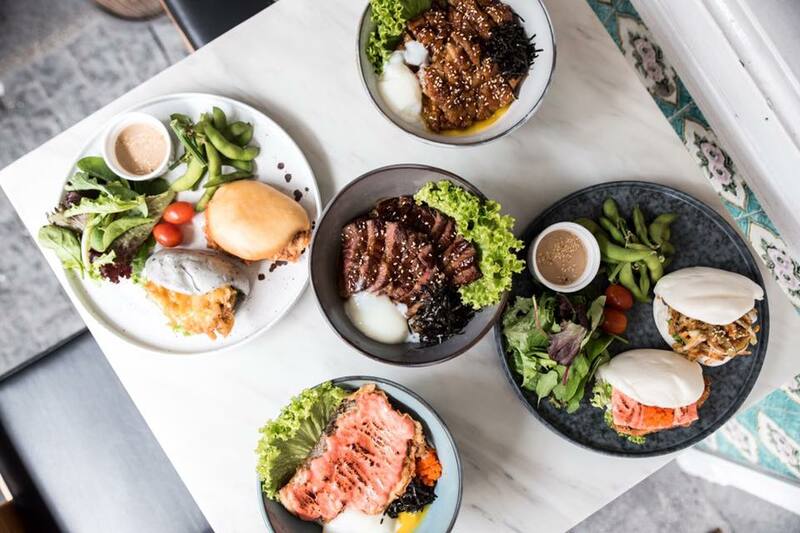 Although nomnomby’s services have yet to extend beyond the CBD, they plan to go island-wide with 350 partnering restaurants by the end of Q3 this year. After they achieve that, Randy and Matas will press on ahead to work towards launching nomnomby in 2 other Asian cities by the year’s end. To get your lunch fixed with nomnomby, click here. Let them whet your appetite with delectable-looking food here and here.